Professor Tracy Bhamra is Loughborough University’s Pro Vice-Chancellor (Enterprise) and Professor of Sustainable Design. Previously she was the Dean of Loughborough Design School. She has a BSc in Manufacturing and an MSc in Manufacturing Systems Engineering and Management. She then went on to complete her PhD in Design for Disassembly and Recycling at Manchester Metropolitan University in 1995. Professor Bhamra has extensive research experience in the field of sustainable design initially during her PhD and then following that at Manchester Business School and Cranfield University before joining Loughborough University in 2003. 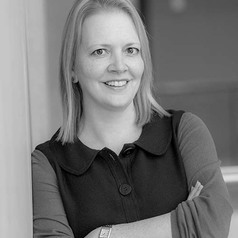 Tracy is a Chartered Engineer (CEng), a Fellow of the Institution of Engineering & Technology (FIET), the Design Research Society (DRS) and the Royal Society of the encouragement of Arts, Manufactures & Commerce (FRSA) and a Member of the Institution of Engineering Designers (MIED). In 2003 she established the Sustainable Design Research Group that undertakes world-leading research in areas such as Design for Sustainable Behaviour, Methods and Tools for Sustainable Design and Sustainable Design Education. Tracy has over 200 publications associated with her research and has been awarded over £3m of funding for her research from the UK government and research councils and a number of large industrial organisations. Her recent research is focused on approaches to enable designers to integrate sustainability into their work, how to move towards designing sustainable services rather than products and also understanding how design can be used to create more sustainable user behaviour. Professor Bhamra has supervised over 20 PhDs and has acted as an external examiner for MSc, MPhil, PhD and EngD theses in the UK and internationally. In recognition of her experience and expertise in the field of sustainable design she has been invited to speak at various events and conferences including the British Standards Institute, Institution of Mechanical Engineers, Japanese Society of Ergonomics; Cape Peninsula University of Technology, South Africa; University of Malaysia, Sarawak; International Hellenic University, Greece; and Royal College of Art, UK. Tracy is a member of the Peer Review College for both AHRC and EPSRC, a member of the International Editorial board for 5 journals including Design Studies, International Journal of Sustainable Engineering and Journal of Design Research. She was a member of Sub-Panel D34 (Art and Design: History, Practice and Theory) for the Research Excellence.